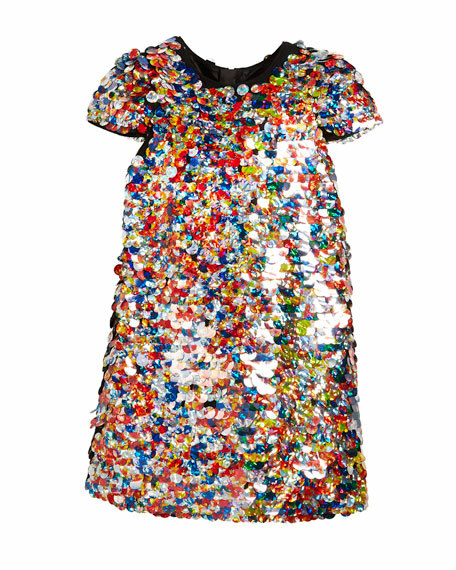 Milly Minis "Chloe" dress in multicolor sequins. Made in the USA of the imported materials. For in-store inquiries, use sku #2718782.